Often, the insurance company that is responsible for paying your medical bills may not pay them until a later date – and often not until a release of claim is signed. Many insurers will require a signed release prior to paying anything on the claim with the intention of denying you the opportunity to receive further compensation for your injuries. Never sign a release without speaking to an attorney first. And never sign a release unless you are absolutely sure you are fully recovered and will not require more treatment. The first thing you should do is check to see what type of Personal Injury Protection (PIP) insurance you have, if any. PIP is intended to be used to cover the costs of your medical treatment and some health care providers may bill your car insurance company directly. If you have health insurance benefits, use them. You may have to reimburse the health insurance provider upon settlement under a clause known as subrogation, but the important thing right now is to get the treatment that you need. A subrogation clause will recoup the cost of the benefits paid when you actually receive payment for them. If the accident was the other drivers fault, you may have decided that you don’t want to use your health insurance benefits to pay for treatment. While in theory that may sound like a good plan, the most important thing is to get the treatment you need first and you may not be able to do that if you don’t use your benefits. Not only will you receive treatment, you can prevent your credit from being harmed while you wait to recover your damages from the other driver’s insurance policy. If you don’t have health insurance, some health care providers will accept a Letter of Protection from your attorney that is essentially a written promise to pay the provider for your medical care once the insurance company pays the claim. In the alternative, you can make payment arrangements with your health providers. Making small payments each month may be enough to not only protect your credit but also keep debt collectors from ringing your phone off the hook. It may even keep you out of bankruptcy since unpaid doctor bills are the leading cause of bankruptcy in Texas and in the United States. Getting your medical bills paid after an accident can be tricky. Never sign a release without first consulting an injury attorney who is experienced in handling car accident claims. The skilled car accident attorneys at Zinda Law Group have handled many of these types of claims successfully, and we can help you to get your claim paid too. 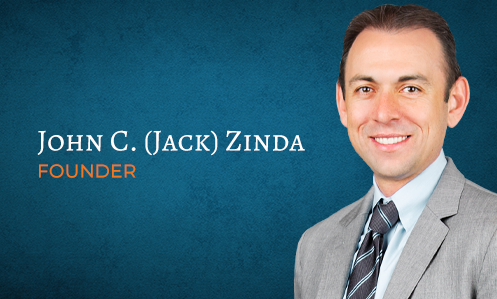 If you would like to see what an accident attorney from Zinda Law Group can do for you, call us today 800-863-5312 to schedule a free case consultation. As we’ve grown, we have expanded out west to El Paso, Texas, subsequently into Arizona--adding Tucson Personal Injury Lawyers to the firm--as well as adding offices in Colorado, including Denver Personal Injury Lawyers and the surrounding cities such as Colorado Springs. We also have a team of personal injury attorneys who have experience handling such serious injury cases as car accidents, wrongful death, and truck accidents. We also have experience litigating more complex cases such as gas explosions and drug injury cases, including Taxotere® Lawsuits.